Dr. Nahla Hwalla has always been focusing on obesity, as an internationally acclaimed dietician, and its many challenges. Nahla is also a prolific academic writer in her chosen field, with over 100 seminal papers published. Nahla Hwalla is currently Professor of Human Nutrition and Registered Dietician with the Academy of Nutrition and Dietetics, USA. She also served as Dean of Faculty of Agriculture and Food Sciences at the American University of Beirut (AUB). 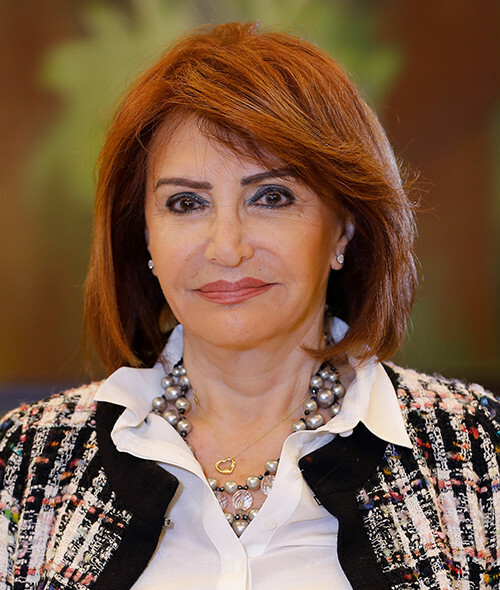 Dr. Hwalla is widely recognized in Lebanon and the Middle East for being the initiator and the driving force behind putting Nutrition on the national and regional agenda. She has served on various international expert committees and was appointed by the Director General of WHO to serve on the WHO Expert Advisory Panel on Nutrition. More notably, she was appointed by the Director General of the World Health Organization to serve on its Expert Advisory Panel. Consequently, Hwalla is Director of the Lebanon World Health Organization Collaborating Center on Nutrition. Hwalla is widely recognized for being the initiator and main driving force that keeps nutrition on the national and public agenda. She has established the field of Dietetics and Nutrition as a respected and protected profession. Nahla has built, supported and promoted a program that has received international commendation.